Custard’s Last Stand was founded in 1989. It began by some local ice-cream loving family members from Lee’s Summit, Missouri and Overland Park, Kansas. They were introduced to frozen custard in the early 80’s by family members living in St. Louis. They enjoyed the smooth and fresh taste so much, they wanted to bring it to their community. It was very important for them to create a family business where residents could come and enjoy a friendly environment and have quality ice cream. The Julo family had experience in management and wanted to base their business on their love of ice cream. They began researching the ice cream industry for approximately 5 years before taking the plunge in 1989. The family made some mistakes in the beginning but what kept the customers coming back was the willingness for the family to learn from their mistakes and make service better. CLS was blessed with a great supportive community in Lee’s Summit. Having good, friendly service and superior quality products has always been the goal of the family. Every item served should not only taste the best, but also look the best. Custard’s Last Stand has never skimped on the finest ingredients to ensure the best tasting frozen custard be served. All costs are closely monitored so that customers may still receive the highest quality ice cream, but at an affordable price. Even after 29 years, it still remains an important aspect of the business to keep the prices affordable so that families can continue to enjoy. An Advertising Executive once asked, “What group of people is Custard’s Last Stand trying to seek as customers?” The answer was simple… families. Young, old, married, single – it didn’t matter as long as it would always be known as a fun, friendly atmosphere to gather together and enjoy each other while having some great ice cream. Custard’s Last Stand does try to carry items for the whole family. This is why we cater to diets by offering light frozen custard and no-sugar added ice cream, along with our private labeled frozen custard. When Custard’s Last Stand opened in 1989, there were less than 100 frozen custard stores in the entire United States. For this reason, the business took off slowly because of the rarity of the product. It then became a challenge to educate customers about this unique product and turn them into ice cream connoisseurs. The most important job at that time was to insure them that it was not a pie or baked pudding, it was truly the creamiest ice cream they would ever have. Since those early years, the frozen custard business has exploded. Stores are opening on every street corner. One thing that distinguishes Custard’s Last Stand from others is the fact that for over 29 years of continued success, CLS customers have realized our commitment to quality and service. Other custard stores have patterned themselves after our success. They may advertise to have better products, but our customers are wise. We invite everyone to taste for themselves the difference. Along with our own award winning frozen custard recipe, Custard’s Last Stand uses the finest ingredients in everything we do. We encourage our customers to try other places to really see what a great product and value they receive for their money. What is Frozen Custard? It is a super premium ice cream very similar to homemade ice cream. It is made fresh throughout the day. It is made with all natural ingredients. We have a special recipe with just the right combination of flavorful ingredients. There may be other frozen custard products available, but they don’t all taste the same. There are no preservatives or artificial ingredients like seen in many store bought products. Frozen custard does have egg in it, which provides a smooth and creamy texture. It is served at approximately 26 degrees which differs from regular ice cream, which is usually served at approximately 10 degrees. The higher temperature allows your taste buds to get a true taste, unlike ice cream served at a lower temperature which tend to “numb” the taste buds while you are eating. One big difference from other ice creams is the air content. Although all ice cream has air injected into it to whip it into a frozen confection, frozen custard has much less air. This makes it heavier and, it weighs a lot more than most other ice creams. If a quart of our vanilla frozen custard were weighed against a quart of regular ice cream, the results would prove the frozen custard weighing considerably more than most because of the air content. Frozen custard is similar to homemade ice cream because of the ingredients and the freshness. Many recipes for homemade ice cream are classified as “custard”. It has been around for many years, but has made a comeback because of the powerful equipment recently made which can produce frozen custard in its freshest form. Custard’s has over 29 years experience in making customers happy. The owners of Custard’s Last Stand have worked very hard throughout the years to create the business it is today. Their best advertising has always been word of mouth, friends telling friends, etc. Only the finest ingredients are served with our products. Custard’s has over 29 years experience in making customers happy. 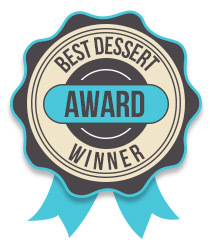 Custard’s Last Stand has received many awards in the 29+ years of business. We have been voted best ice cream in Kansas City numerous times and also featured as one of Walt Bodine’s “lovable joints,” along with many newspaper articles written about the business. On any given summer night, there is usually a long line of customers waiting patiently to order their frozen custard. It’s quite a site. There might be several little league baseball and soccer teams standing & waiting together. This has been our dream and it’s great to see all of the families and friends having a wonderful time together. We appreciate the communities for what they have helped us build. Our customers are the greatest!